Pepwave’s Mobile MAX 700 recently hit the track with the Toyota Racing team. To connect with racetrack employees, Toyota needed a solution that could withstand harsh environments while offering consistently fast and reliable performance. Before Peplink, Toyota Racing relied on a satellite Internet connection, which was weather-dependent, sluggish and unreliable. Toyota decided to give the Mobile MAX 700 a try. Featuring SpeedFusion, the MAX solution now drives record-setting performance, dependability and durability for Toyota Racing. Fast, dependable, and tough, the Pepwave Mobile MAX 700 is a complete mobile connectivity solution that keeps the Toyota Racing team productive — wherever the team races across the globe. 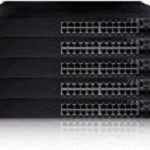 A Reliable MPLS Replacement at a Reduced Cost. Warehouse Specialists Inc. is one of the largest third-party logistics (3PL) companies in the United States. They have over 45 locations with a total of 14 million square ft. of facilities nationwide. Warehouse Specialists Inc. relies heavily on inter-connectivity between all warehouses to deliver reliable, integrated logistics that allow them to increase efficiency and reduce costs for a wide range of customers. A MPLS network that costs thousands of dollars per month was installed to establish their warehouse network. However, the MPLS had an inherent design flaw. “When our expensive MPLS service fails, our entire warehouse logistics network is offline and that really hurts our business,” said Jason Lamine, Network Services Manager. An Easy to use All-in-one Solution. Jason ultimately decided on the Peplink Balance series. “It offered a cost effective all-in-one solution,” Jason explained. “With the Peplink Balance,we’re able to utilize multiple low cost Internet services and realize 100% network uptime while dramatically cutting our monthly expenses.” Using multiple links with the Peplink Site-to-Site VPN Bonding feature, service failures are detected automatically and traffic is switched to a healthy service, achieving the highest network reliability possible. Warehouse Specialists Inc. installed two Peplink Balance 710 at its headquarters in high availability mode, and deployed the Peplink Balance 380 at branch sites to establish its network. Jason was very impressed with the easy to use Web Admin UI of the Peplink Balance. 100% Uptime. Low Costs. Satisfied Customers. they have reduced their monthly recurring network expenses by more than 50%. Want Peplink for your business? 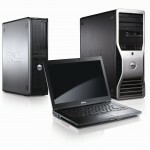 Check out http://www.greenappleit.co.za/peplink or contact us today. Peplink Balance multi-WAN routers are enterprise grade solutions covering everything from home users to large corporations. Peplink Balance routers can support up to 13 WAN connections for unparalleled reliability and 24/7 run-time, which is key if losing Internet connectivity costs your company time and money. Managing each link on the network is simplified by Peplink’s easy to use outbound policy management and multiple load balancing algorithms. 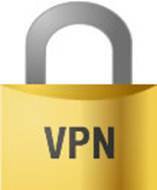 Peplink offers industry standard IPsec VPN tunnelling and PPTP VPN server capability for secure access between branch offices. Equipment is cross compatible with VPN technology from popular manufactures like Cisco, Sonicwall, Juniper and more. This means you don’t need to replace all your equipment and Peplink gear can be easily integrated into an existing infrastructure. Most Important: Higher-end Peplink models also support Site-to-Site VPN bonding technology, which allows you to bond and aggregate bandwidth between multiple links. This technology is exclusive to Peplink/Pepwave equipment and would be required at sites where you wish to bond multiple links. This patented technology allows you to use several cheaper links vs. paying more for a dedicated MPLS line. In a network environment you can have as many ISP connections as you want, but if something goes wrong with your hardware you’ll soon find yourself waiting for a replacement, creating downtime. High Availability mode allows you to create a 1+1 Backup Mode, which ensures that your network will remain active in the unlikely event of a hardware failure. This specific feature is often utilised in hospitals, schools, banks, military applications and more where you simply can’t afford to have equipment fail. The setup is very simple and essentially clones a matching Peplink Balance router with the identical settings of your main production machine. This feature is found on the Peplink Balance 210, 310, 380, 580, 710 and 1350. Within the Peplink Balance routers you’ll find a firewall capable of allowing or denying specific protocols by single addresses, or across the entire network with full event logging. You’ll also find intrusion detection and DoS prevention for protection from denial of service attacks on your web server. What if you already have a firewall in place? Higher end Peplink models, starting with the Balance 210, feature Drop-in mode, which allows you to quickly deploy equipment without altering your existing firewall. After enabling drop-in mode place the Peplink Balance router behind your firewall and you can integrate the equipment seamlessly! With advanced QoS controls you can easily configure specific applications or protocols to have priority bandwidth. For example, you could give your VoIP and Web high priority while keeping streaming applications at a normal or lower priority. You can also define management, staff and guest users to manage bandwidth as a general group, or create individual bandwidth limits. QoS settings are also adjustable based on specific ISP’s so you can keep the same rules across all connections, or favour specific ISP’s for different applications. For example, a lower latency connection may be given higher priority for real-time applications where a higher latency connection with more bandwidth is favoured for video streaming. With more and more ISP’s moving toward tiered based pricing, bandwidth is becoming a hot commodity. Peplink Balance routers allow you to easily setup alerts or completely disable a connection after hitting a set amount of bandwidth. The QoS and Load Balance algorithms mentioned earlier allow you to use the expensive links for specific tasks, and the bandwidth monitoring ensures you don’t get hit with a large data bill. Data can be tracked in monthly, daily, hourly and in real-time to get an overview of where your traffic is generated. This can be useful if you notice a spike in data usage from a specific IP address. This could identify an employee wasting company time by streaming video, or identify potential malware on a computer. The Peplink Balance 380 and above features a built-in WLAN controller, which allows you to easily manage all your Pepwave AP One’s. You can control up to 500 Pepwave access points with an enterprise license to control every employee’s wireless experience. Pepwave access points can throw out some serious Wi-Fi range when the Powerboost is enabled! This translates into a wireless range about eight times greater than a typical access point. Peplink and Pepwave products are an enterprise grade solution designed for 24/7 use in your business environment. These products are ideal for business, retail, hospitality, education, finance, transportation and more! It doesn’t matter if your office consists of 15 users on a Balance 30, or 200 users on a Balance 580; Peplink/Pepwave equipment can handle the job. An interesting story of how a customer has made big savings with Peplink routers! There are so many new products available for broadband connectivity right now, Fiber to the Cabinet, ethernet last mile and Annexe-M bonded DSL – to mention just a few, that when it comes to rolling out a new branch office (or indeed relocating a head office), you’d be forgiven for getting a little dizzy in trying to choose which one to use. Check out the full article here. Want a similar solution to start saving your business money? Contact us and we will gladly assist. River Valley Cooperative is a member-owned organization that serves farmers in Illinois and Iowa, United States, to increase overall efficiency and productivity. Connect All Locations for Higher Service Standard. To enhance its members’ farming operations and help them adapt tochanges in markets and technology, River Valley Cooperative connects alllocations to its central office for applications such as email servers,accounting database, and financial programs. At the beginning, aradio-based network had been used to tie the remote locations together. However, network connectivity was complex and costly. As the number of locations grew, River Valley Cooperative wanted a simple, low cost solution that can also improve network reliability. Todd Phillips, Network Administrator at River Valley Cooperative, searched for a solution to replace its existing radio-based network. “What we need is something that can reliably provide VPN, load balancing, and failover,” says Todd. He looked at some load balancing brands but found that the upfront costs could be expensive. Other firewall devices lacked the network connectivity and VPN features that they demanded. Multi-WAN for More Bandwidth and Higher Reliability. Todd ultimately decided to deploy Peplink Balance since it meets all of his requirements while costing less than other options. “The Peplink Balance has proven to be reliable, and provides the versatility to do what we may want to do at each location,” Todd explains. Now a Peplink Balance 710 is deployed in the River Valley Cooperative central office while a Peplink Balance 380 has become standard equipment at all of its locations. Using the Peplink Balance, locations where DSL and Cable are limited can have the flexibility to use wireless links such as 3G and Satellite as backup. For larger locations, extra links can be added easily as the bandwidth requirement increases. With Peplink Site-to-Site VPN Bonding, all the links will be bonded to form a redundant connection and achieve maximumreliability. Employees are now able to maintain a reliable and secure connection to the central office at all times, and therefore keep up their high service standard. Responsive Support Service. Satisfied Customer. Todd is also very satisfied with Peplink’s support services. The Peplink support team quickly addresses all their issues. “I’m impressed that Peplink has been very responsive to requests I’ve made to improve their firmware,”he says. River Valley Cooperative will continue to deploy Peplink Balance units at each location for expanding its VPN network in providing the highest level of services to all members. Green Apple IT is proud to be a Peplink Partner, see our solutions page. At Green Apple IT we understand the importance of keeping your business connected the Internet / Cloud all of the time. We offer a series of high-performance, multi-WAN, load-balancing routers makes it simple to keep your business connected 24×7. Our offering includes the supply of, installation of and the on-going support of these solutions. We all rely on Internet connectivity for our businesses. Be it ADSL, 3G, Wireless, there are pros and cons to each of these broadband technologies. How do we mitigate inherent risks to ensure maximum uptime and productivity? Here at Green Apple IT, we offer simple yet effective solutions to keep you up and running seamlessly, with no intervention on your side. So if one technology fails, the other will take over, keeping you connected – all the time. Contact us for a out-the-box or tailor made internet solution for your business.